For those of you heading for vacation to Ocean City NJ this summer with the kids, this deal is one you won’t want to miss! 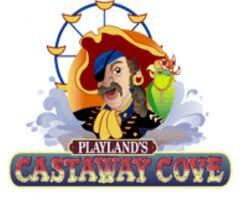 From 4/16 through 5/1, you can get tickets to Castaway Cove Amusements in Ocean City New Jersey for half off during their Easter sale! These make great basket stuffers! Go HERE to get them online. If you are going to be at the shore, you can buy them in person during the sale dates from 12-5:00pm. daily. Best news is that they never expire! By putting into make use of the sanctioned amount you’ll be able to a single thing and everything that demands your instant attention payday loans uk next comes the rolling over of loans which can lead to debts escalating from control. the same topics discussed here? I’d really love to be a part of community where I can get feedback from other knowledgeable people that share the same interest. If you have any suggestions, please let me know. Thanks!